Up until now, we have created three React Components: Quiz, Question and Answer. The last component that we need is Score so we can show the results of our Quiz. 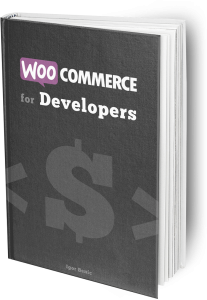 Our Score Component will receive a property score. This property will be an object that contains all the data that we receive from our REST API route which we have defined in the previous tutorial on CPT and REST API Routes. We will display the percentage and also the score and the maximum score that can be achieved. To include the Score Component in our Quiz Component, we need to import it from the components folder. Open our Quiz.js and do the following changes. We also need to add our Score Component in our rendering method so we can render our score. We are passing the property score and the value is the score from our state. We are passing only the first item in our score array. I have decided to define the score in state as an array so I can use this.score.length. But, this could be done differently and I invite you to do so. In the tutorial on creating the Quiz Component, we have defined the method getScore. Up until now, that method was an empty method. It did not do anything else then writing some text in the console. This part required me to do some research because, by default, fetch is sending JSON. To send a POST as if it was sent by a regular form, I had to build the whole body as a querystring. This was done by going through all the given answers and their question IDs. Now, when sending the data, our REST API endpoint will work without any changes needed. If we did not do that, we would need to change how we process the POST requests on that endpoint. In this tutorial, I have replaced the App class to Quiz inside the Quiz Component. You’re welcome to style the quiz as you want. I’ve just define a few simple CSS rules inside of Quiz.css. This can now be used in production. Here is the complete code with everything you need and everything we did in this series. 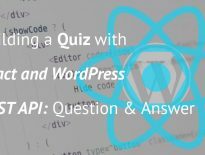 If you’ve followed all the tutorials on creating the Quiz with React and WP Rest API, you should have a working Quiz. In my opinion, this was a nice example of how you can use React to build an App which can run anywhere and still have a connection to WordPress. By separating all the various parts into Components, we have kept our code clean and easily maintainable. 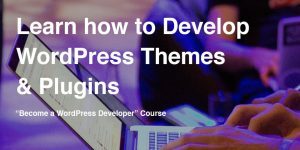 Have you tried building other Apps connected to WordPress? Please share your experience with us in the comments below! The code assets are missing from this page. Can you point us to the code discussed above? Hi DannyC, I’ve added the code at the bottom of the article. Thank you for pointing that out.